In Control is a photograph of two men in dark suits, standing conspiratorially with hands in pockets by a red stoplight. One wears a purple Paisley pattern tie. Are they corporate schemers? Are they political power brokers? 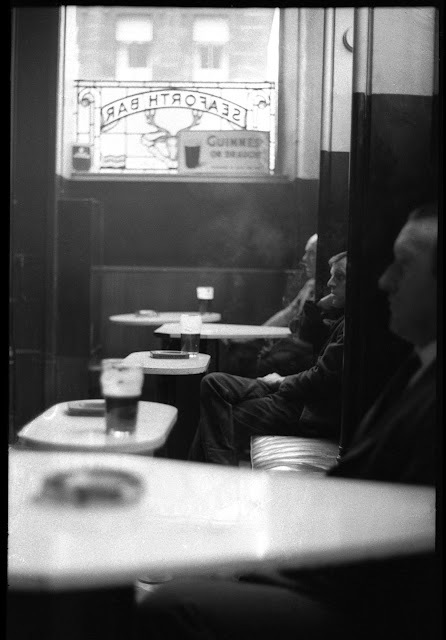 “Mince” is the eye grabbing detail in Intersection/ Action IV a picture of a large puff of smoke at a crossing. What just went off? In Foreigner a woman stands alone in a darkened room looking out into the light, the faint trace of a tattoo marking her back. What is she afraid of? A man sits on the pavement clutching his dog, the soles of his Nike trainers worn out and peeling. Which of these two figures is the Stray of the title? 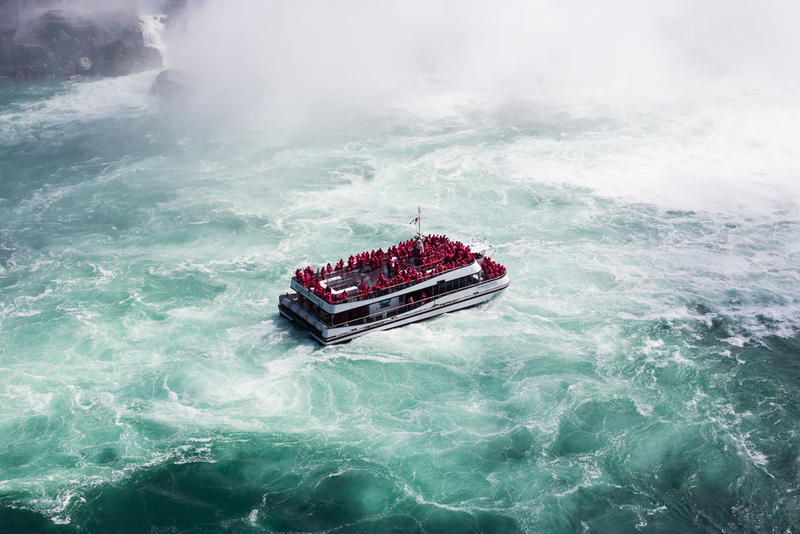 The Hornblower Niagara Wonder carries a boatload of tourists in red kagools out over luminous waters at the foot of the falls, a border between two rich nations now at odds over trade barriers. 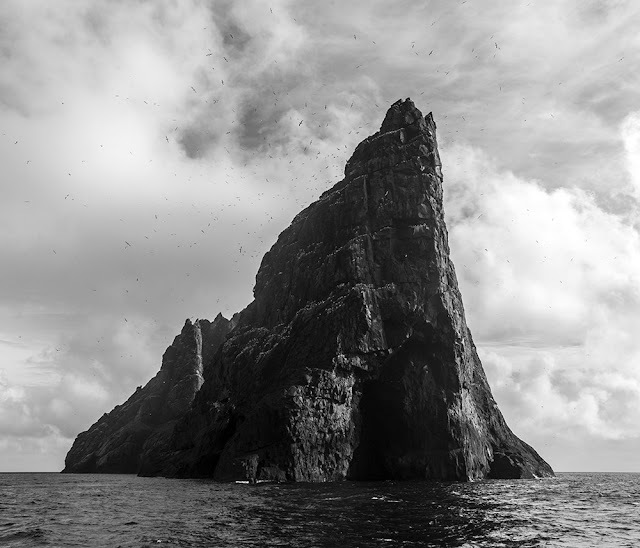 One can hear the boat’s blasted horn above the roaring waters, even though the picture is silent. About Common Ground is an ever-expanding series of photographs of western life under moribund capitalism. 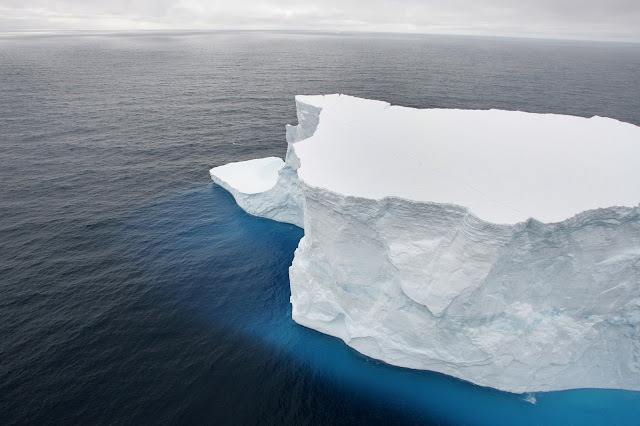 The pictures have been made in Europe and North America over the last several years, though the ones shown here are almost exclusively made in the last two. They show the levelling effect of globalisation whilst always bristling with a tension that asks, is any of this really real? All of it looks staged, but it is not. Well, not by Holm at least. The photographs, and more importantly the relationships between them, throw up questions that indirectly expose a desperate political and economic imbalance that is growing worse by the day. Holm’s proposition is made without recourse to pathos and the easy targets of photographs about exploitation and inequality. 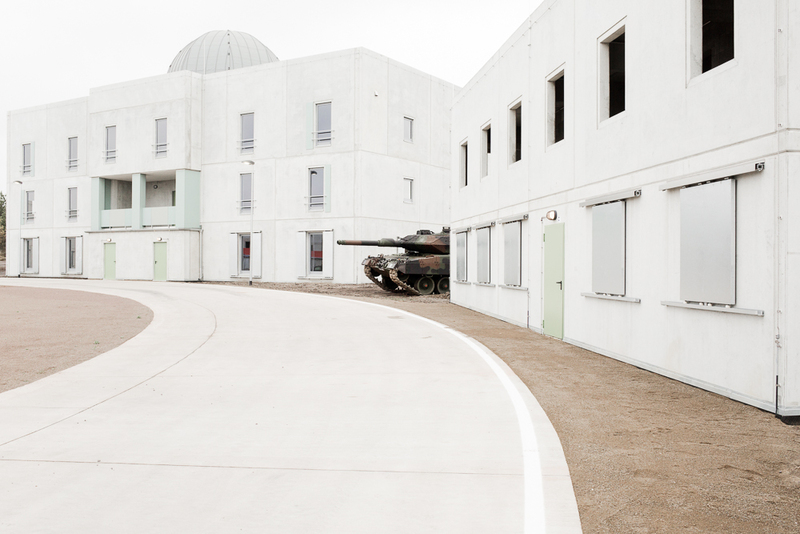 The sinister Schoggersburg VIII, a picture of a tank poking its big gun out from between two accommodation blocks in a town constructed purely for military training exercises, is a metaphor for the whole. Nothing is what it seems and everything is there for a purpose most people are kept unaware of, or would rather not face up to. A more extensive showing of the series About Common Ground would be welcome. The twelve photographs shown in the current configuration are just enough to communicate some of the complexity of Holm’s vision of contemporary society. He achieves the objective described by Robert Frank: "When people look at my pictures I want them to feel the way they do when they want to read a line of a poem twice." Contribution II offers us what we all need and know is good for us, fresh fruit and vegetables kept cool under thirst quenching running water, but even this natural cornucopia is seen through the thin veil of a blue plastic bag. The viewer feels compelled to look again in search of what lies beneath the skin, both within the picture frame and without. Go see the exhibition, give it some time and be sure to read the accompanying essay by John Farrell for a more in depth perspective on the entire body of work.